See more objects with the color antiquewhite lightslategrey dimgrey grey darkseagreen or see all the colors for this object. This is a Pleated fan. 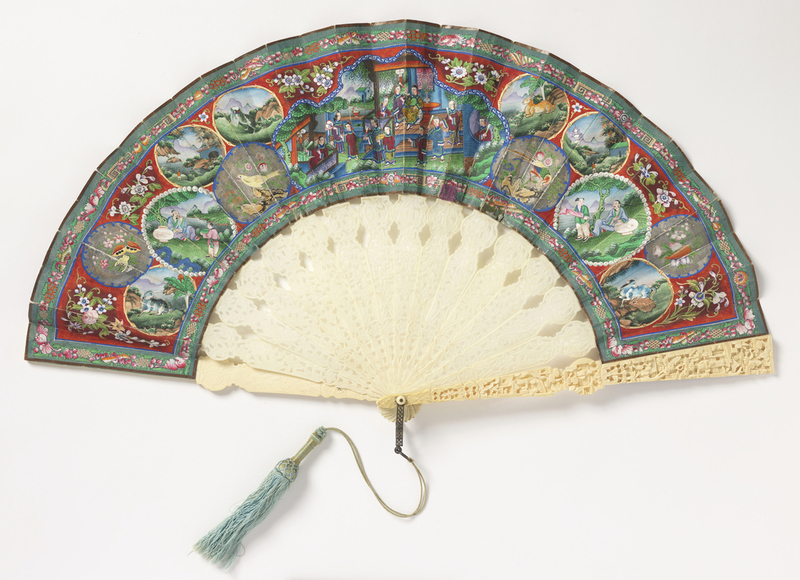 It is dated 1850–1900 and we acquired it in 1940. Its medium is silk leaf painted with tempera, carved ivory sticks, silk tassel. It is a part of the Textiles department. This object was donated by Elizabeth Haynes and Samuel L. Israel. It is credited Gift of Samuel L. Israel.